This is one of the best films I have seen in years, hard to believe that it was written and directed almost 27 years ago. A lyrical, beautiful and moving film with a storyline so believable, it is as if I were with them, on the dusty roads and the rolling hills and plains, seeing the Great Southwest unfolding before my eyes. 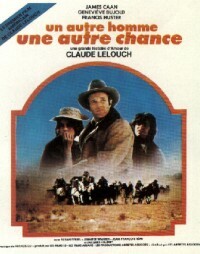 This film is even better if you know some French, but not necessary... The "true to life" historical film has so much meaning on a personal level, it is as if I were "let in" to read someone's private diary, with nothing held back. Such thoughts I wish I had... 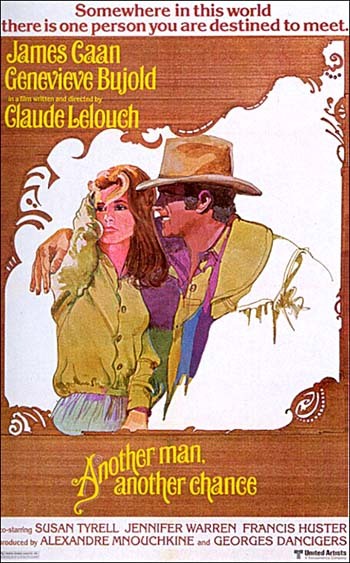 Thank you so much, to the director and writer, Claude LeLouch, and to the actors James Caan and Genevi�ve Bujold. They are all excellent in every way. I wish I could have "been there" myself at this point in time, and after seeing this film I was able to "live in their painting" for just a little while. I actually watched it two times in a row, it was so beautiful in all ways. No "blockbuster" needed here, just the storyline of these people's lives. I can't wait to see what other films this fine French director has brought to the screen, as I had never heard of him before. Caan and Bujold are at their finest, as always. Thanks to both of them, as well.